Dr. Trini Leung, Director General of Oxfam Hong Kong, talked about the importance of everyone’s input in achieving global sustainable development goals. 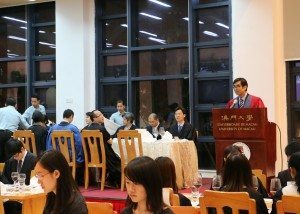 On Wednesday 20th April, 2016, Stanley Ho East Asia College (SHEAC) held its fourth High Table Dinner, and was grateful to have Dr. Trini Leung, Director General of Oxfam Hong Kong, as the guest of honor of the event. Dr. Leung has been working in local and overseas non-governmental organizations for more than 30 years. She has been committed to promoting global sustainable development and poverty alleviation. Her scope of expertise covers labor issues, corporate social responsibility, climate change and international trade practices. She has participated in various international advocacy initiatives. 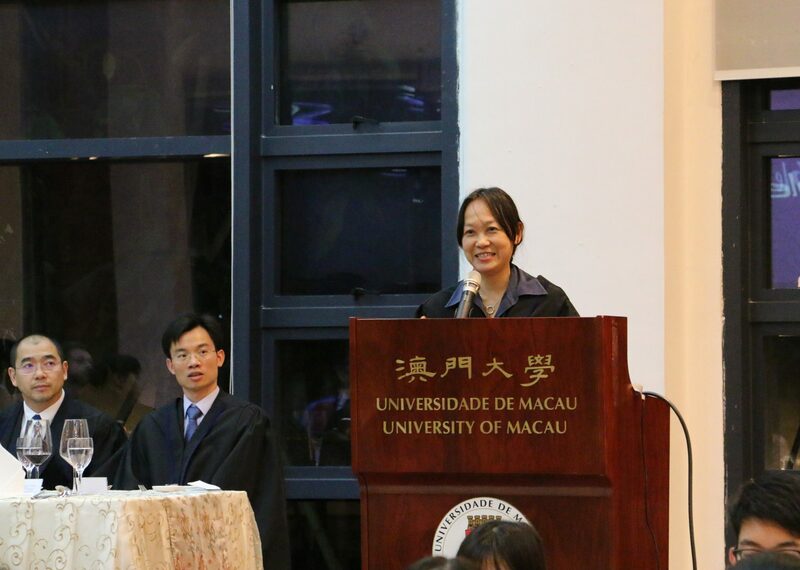 College Master Prof. Iu Vai Pan introduced the Guest of Honor, Dr. Trini Leung, Director General of Oxfam Hong Kong. Dr. Leung talked about her life from childhood when she grew up in a rural village to doctoral education in Hong Kong. She continued to express how she has come along in the field of social service and community development. Dr. Leung also elaborated the current problems facing all humans and the Sustainable Development Goals launched by the United Nations to end all forms of social injustice, and tackle climate change and other challenges. She summed up by encouraging students to critically think about and take action on all those global and local challenges with courage and passion. 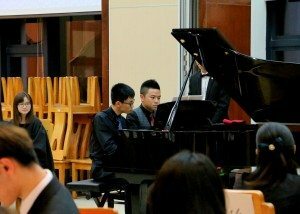 Students Xu Jing and Yang Qiyi performed Piano Duet. 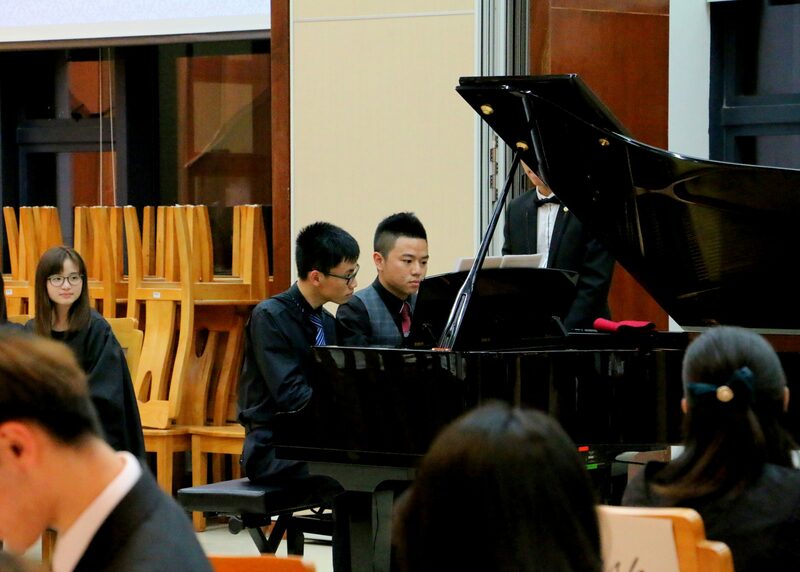 Two students, Mr. Xu Jing and Mr. Yang Qiyi, played Piano Duet for two pieces, “Canon en D” and “Military March”. All the audience were immersed in their charming melodies. 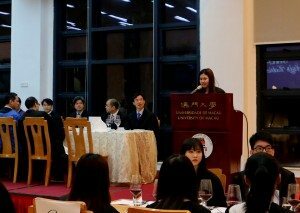 More than 200 students participated in this last high table dinner of the current academic year. 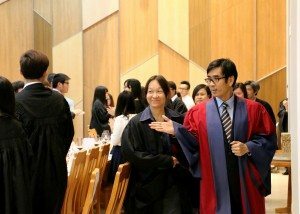 They were also joined by College Fellows Dr. Brian Hall (FSS), Dr. Anna Kou (FST), Prof. Kou Kun Pang (FST), Dr. Agnes Lam (FSS), Dr. Angus Lam (FST), Dr. Simon Lee (ICMS), Dr. Dennis Wang (FED), Dr. Alfred Wong (FST), Dr. Matthew Yap (FBA), and Dr. Zhang Yang (FBA). College Master Prof. Iu guided the guests to enter the College Refectory. Student Ma Cheuk Sze, Jessie served as the emcee of the event.